Many of our VFW posts throughout the state of Illinois provide services on these days to recognize, honor and respect America's war dead. 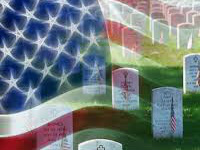 It is but a small gesture of appreciation for all those who have made the supreme sacrifice for their country, for our country, for the freedom and strength that is the United States of America. 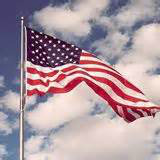 Check with your local VFW post to see if they provide a flag disposal service for your used flags. As flags deteriorate from usage and weather, in honor of our country and all the flag represents, it is fitting to destroy the flag in an honorable way. VFW posts volunteer and help in funding efforts for many community projects. Direct community involvement always has been, and always will be a major VFW priority. Annual participation in Make A Difference Day, National Volunteer Week, Toys for Tots and March of Dimes are some of the more well-known volunteer efforts supported by the VFW. We've also been getting involved with Connect America and America's Promise - The Alliance for Youth. Led by its premier youth scholarship program, the Voice of Democracy, VFW takes great pride in its youth programs. In addition to VOD scholarships, VFW units support numerous youth activities. Some of these include sports, scouting, 4-H, Boys and Girls Clubs, contests, projects and ROTC competitions. VFW service officers tackle problems on behalf of veterans ranging from guaranteeing VA disability compensation to acquiring well-deserved military awards.